Summer has finally arrived in Denver! The transformation from the snow of winter and rain of springtime means that it is time to throw the winter coats and boots into storage and break out the hot weather gear for your favorite high altitude and summer activities. 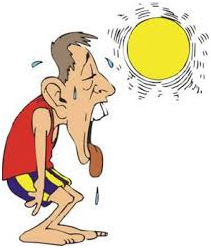 For most people, the hotter weather means increased body temperature, increased outdoor activity, and increased sweating. It is important with these seasonal changes to increase your water consumption. 5280 Cryo & Recovery Clinic wants to remind you that living at high altitude in Denver makes proper hydration even more important. At higher elevations there is less oxygen and pressure, causing water to evaporate from your lungs and skin more quickly than lower altitudes. The air is also thinner and dryer at higher altitudes. Additionally, the human body reacts to higher altitudes with increased urination and faster breathing, further increasing water loss. Even without increased activity, it is recommended that you drink twice the recommended amount of water as those living at lower altitudes. That means that instead of eight glasses of water per day, living in Colorado you should be consuming upwards of 16 glasses of water per day. Simply because you’re living at higher altitudes, you should already be consuming twice the amount of water as those at lower altitudes, but the increased activity most people partake in with the warmer weather, it is important to meet or exceed these recommendations for water consumption. Colorado is frequently ranked as the number one state for healthy and active people. During the warmer months in Colorado, people love to spend time doing outdoor activities like hiking, climbing, biking, running, swimming, kayaking, team sports, etc. If you participate in sports or other outdoor activities that cause you to sweat you should be consuming an extra 2-3 cups of water for exercise lasting less than one hour. For activities greater than one hour, it is important to drink upwards of 3-4 cups of water beyond what you are already consuming throughout your day. 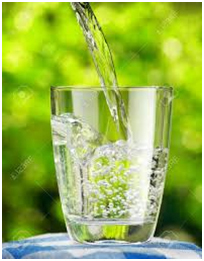 It is also essential that you continue to drink water after the activity to adequately rehydrate your body. One of the most helpful ways to accomplish proper hydration is to carry a water bottle with you whenever possible. Other than guzzling as much water as you can throughout the day, there are some other ways to make sure that you’re not rapidly dehydrating your body. Monitor alcohol and caffeine intake. Beverages high in caffeine and alcohol content prevent the body from reabsorbing water, consequently causing more urine production. Monitor your amount of sun exposure. This doesn’t necessarily mean staying indoors. Instead, participate in outdoor activities earlier in the morning, later in the evening, or in shaded areas whenever possible. Besides increased sweating from the hot weather, your body also evaporates moisture directly from the skin when exposed to sunlight and heat. This makes wearing clothes that can protect you from the sun very important. Maintain proper electrolyte balance. 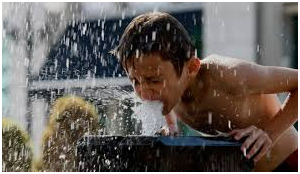 Chugging just water can only go so far when it comes to proper hydration. Supplementing water with food and drinks rich in electrolytes like sodium and potassium is also important. Sodium can be found in most food and drinks. Potassium, however, is best consumed by eating foods high in potassium content such as bananas, leafy greens, avocados, salmon, mushrooms, yogurt, apricots, squash, potatoes, and beans. The bottom-line, living at higher altitude involves increased water loss, which can be even greater with increased activity during the warm summer months. Maintain proper hydration at higher elevation by consuming at least 16 glasses of water per day. If you are participating in increased activity or spending more time outdoors, properly hydrate before, during, and after those activities. Maintain proper electrolyte balance through consumption of foods and beverages high in sodium and potassium. Don’t spend unnecessary amounts of time in the sun and avoid alcohol and caffeine when possible. It is important to prepare your body for any changes in altitude or outdoor activity. If you know that you are going to be spending more time outdoors, increasing your activity, or spending more time at higher altitude, then you should begin by consuming two to three liters of water in the days leading up to those changes. *If you feel that you may be severely dehydrated, call your doctor or seek medical attention immediately. **If you have heart disease, are pregnant or have a medical condition, check with your doctor to make sure it is safe to participate in exercise or other activities, and for recommendations on how much water to drink at high altitudes and with increased activity. Check out our other blogs to learn other ways to maintain an active Denver lifestyle!